US Army Corps of Engineers (USACE) - Environmental Quality Management, Inc. Focused Site Inspection for Former Nike Missile Site D-54/55, Riverview, MI. EQM provided comprehensive environmental compliance services associated with establishing environmental quality conditions at a former Nike Missile Base in Riverview, MI. EQM’s efforts included preparation of project work plans, including a health and safety plan and quality assurance project plan, interface with state and local regulators, installation and sampling of five monitoring wells, installation and sampling of nine soil borings, and collecting water from five intact (and buried) hardened bunkers. Explosives Building Decontamination, Well Closures and Soil Investigation, Savanna Army Depot Activity, IL. Achieving a Response Complete (RC) determination for decontaminating 16 explosives-contaminated buildings, comprising 60,628 square feet, to allow unrestricted re-use (5X level). In process of achieving closure of four production-grade 1,600-foot-deep potable wells; transfer of six potable wells; and closure of 218 groundwater monitoring wells, before 30 September 2013. Completing the remedial investigation (RI) of soils under and around each of the 18 explosives-contaminated buildings. EQM used field screening methods (i.e., DropEx, AVR, and micro-flammability) because of the explosive potential of the soil. EQM removed and disposed of, in an approved landfill, contaminated materials and soil at the former Savanna Army Depot, including the National Guard Pistol Range, the Industrial Sewage Tank Imhoff Tank, the New Small Arms Range, Cosmoline Grease Dump, Northern Septic System, and Burried Transite Debris. UST Removal - VA Hospital in Louisville KY.
EQM removed an existing underground storage tank (UST) used for the storage of diesel fuel. The tank cavity was excavated into Karst limestone, requiring additional soil and groundwater evaluation. EQM sampled and analyzed the soil and evaluated potential impacts to groundwater. We also replaced the UST with an aboveground storage tank (AST) and associated piping. Remove Contaminated Floor, Air Force Plant 39, Chicago, IL. EQM removed and disposed of approximately 7,000 sq feet of creosote wood block floors contaminated with PCBs. The site was an active food production facility at a former B52 bomber production plant. Removal of Contaminated Soil, Carmi Air Force Station, Carmi, IL. Approximately 100 cubic meter of soil was removed at each of 2 sites. The contaminant of concern was heating oil from leaking ASTs. The contaminated soils were disposed in a permitted Special Waste Facility. The site was restored to the original grade and vegetation. Excavation quantities were determined by sampling and analysis. EQM is providing comprehensive groundwater monitoring services to the USACE, Louisville District, at the former DoD explosives manufacturing and assembly operations site in Ravenna, Ohio. 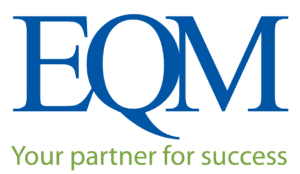 EQM’s efforts include quarterly groundwater sampling and analysis of 41 monitoring wells, as well as the collection of water-level measurements and maintenance/repair of all 237 facility-wide monitoring wells. EQM prepares summary groundwater sampling and analysis reports after each sampling event and prepares a comprehensive sampling and analysis annual report. These reports include evaluation of the groundwater analytical results in comparison with criteria established by the Ohio EPA. EQM is also responsible for the characterization and disposal of all investigative derived waste (IDW) for each sampling event. For the USACE, EQM replaced an existing, deteriorating shoreline storm damage control structure along Lake Michigan’s shoreline in the Chicago area located a half mile north of Navy Pier. EQM’s structure minimized storm impacts to the shoreline, was aesthetically pleasing, and integrated with the lakefront architecture and future plans. The new structure provided for safe recreational use by people living, working, and visiting the Chicago shoreline area. For this project, EQM removed crumbling limestone protection barriers from a 1,700-foot stretch along the lake and replaced them with a new multi-tiered concrete structure that could also be used as a pedestrian promenade. EQM assisted in constructing a 150-acre engineered Confined Disposal Facility (CDF) for the USACE at a former petroleum refinery site in East Chicago, Indiana. The CDF was used as a disposal location for 4.6 million cubic yards of dredge material removed from the adjacent Indiana Harbor to ease restrictions on shipping traffic. The site was known to contain petroleum contamination and PCBs. In this $10M project, EQM was responsible for clearing a path of all utilities that crossed the property line and for construction of an impermeable soil-bentonite slurry wall around the site. EQM removed 270 utility lines and installed 265,000 vertical square feet of soil bentonite slurry wall. In a follow-on contract, EQM removed utility lines from underneath the canal.